When building SaaS solution, one of the most common cross cutting concerns is the authentication of users. For some solutions, the security implementation is handled by the application itself. In this article, we explore the use of Azure Active Directory (AAD) to provide the security services for our apps. Clone the repo from Github. This creates a new folder (nodejs-azure-ad) and downloads the code. We should note that we are cloning from the simple-auth branch. At this point, the app is showing us that the content is secured, and we need to login to the system. The AngulaJS code uses a service and controller to make an API call to the server to fetch the current user context (see section Client App Code). However, there is currently no integration with any identity provider that can allow us to authenticate the user, so there is no user context, and the application shows us the message to login. To get our application to work under the Azure AD authentication process, we can deploy the app to Azure and then we can enable the authentication. Let’s start by deploying our app first. The last step is to get the Git Clone url from the Overview section. This is the url that we need to be able to create a remote Git repo and push our changes to Azure. Click on the Overview option, and find both the Git deployment username and clone url. We have now created our deployment profile with Azure using a local Git repo, and we are ready to deploy. The first command adds a remote repo with the name of azuread that points to the repo on Azure defined by the clone url. The second command pushes our code to the remote repo to update our Azure app. When pushing the code, we should see a prompt asking for the username and password. 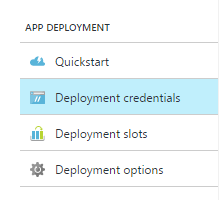 This is the information we created under the deployment credential configuration area, not your Azure login. After entering our credentials, we should see information about the publishing process to Azure. Once this is complete, we can go back to the Azure app deployment -> Deployment options, and we should see that our initial deployment is successful. This is a confirmation that the app is deployed to Azure. We can now run the app from Azure using the App url (overview blade on Azure -> Url). We should see that the app is running and indicating us to login. We still have no authentication enable on our app, so the app continues to load the same as it did when running locally. We now need to enable AD authentication on our app. 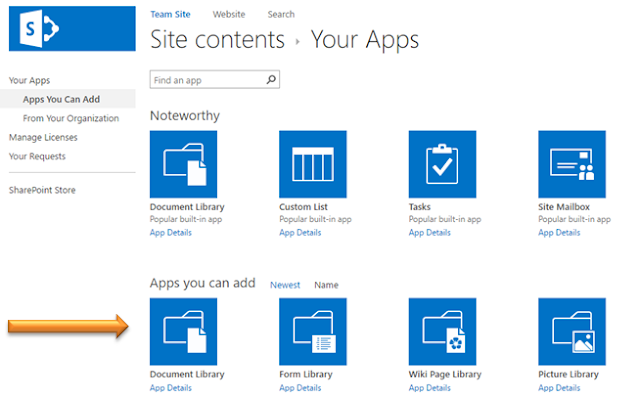 Let’s get back to Azure and select our web app. Click on Select Settings -> Authentication / Authorization and click on On for the App Service Authentication option. This enables additional options for which we need to select Log in with Azure Active Directory for the action to take and configure AD with the Express option to build an Active Directory (AD) protected app. *Note: The Login with Azure AD when the request is not authenticated option forces a redirect and does not allow the option to provide anonymous access to any of the app content. The express option is a quick way to create an app registration with AD authentication. 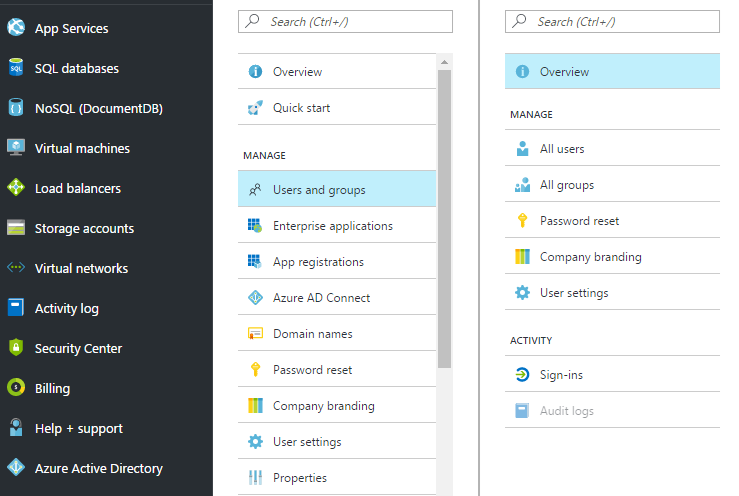 It adds the basic settings to create the app profile under the Azure Active Directory configuration settings. It also configures the app to allow access to all the users under the current AD. Yes, these are the login profiles. We can try to load our app again from the browser, and we should see a much different behavior. To login, use your Azure credentials. *Note: If you are already logged in to Azure with the same browser, a redirect takes place, but no login is required as the identity provider already knows about your current session. To test the integration, we should open a new browser on private or incognito mode, depending on the browser. This does not load any current state or cookies that may affect our validation. Take a few seconds to reload the app and come back. Yes, the app is now redirecting to an identity provider. For us to see our app, we are now required to enter our AD username and password. This is not the credentials that we created for deployment. This is the credentials that we use to login to our azure portal. To understand what users are available on Azure AD, from the Azure main menu select Azure Active Directory -> Users and groups -> All users. Now that the app is running with AD authentication and after a successful login, we should see that our app now shows a welcome message. We are able to know that the user is authenticated because our client code makes an API call to retrieve the user context information. If the context exists, the client code sets the identity object which is used by the HTML view to render the elements based on whether the user is authenticated or not. The client code is implemented using AngularJS. The core of the app is written on the auth service, app controller and view. The service which makes the API calls to retrieve the context from the server. The controller uses the $auth service to retrieve the user context and sets the controller identity member. The view uses the identity member to control what is displayed to the user. The server side code is implemented using Node.js. Our server app defines client (app/) and server (api/) routes. Both the server and client code are only aware of the security context of the user, but there is not enough information to know about the user’s claims. For this, we need to get more detail information about the user by doing an integration using OAuth and authentication tokens. This however needs to be covered in another article. In this article, we are able to see how without doing any implementation changes to our app, we can enable the authentication with Azure AD. We should note that this works well if we are protecting our entire app, but what about when we need to only protect some routes and allow anonymous access to others? The answer is provided on our next article. As shown above, the Apps you can add section is no longer visible. In some cases, the container declaration may exist, but it is set to Visible="False". This can also cause the rendering problem. To address this problem, we can add the tags on the master page and test the rendering of the view. The next step is to address the layout issues that this can cause on our custom master page. For that, we need to use some CSS magic to remove any of the content that we do not want displayed on our views. An approach is to override some of the classes that are found on the inner child elements as that should not affect how the add an app section is rendered.